FedEx released a statement Monday afternoon announcing it would not be dropping a discount for NRA members. The FedEx announcement was in response to a boycott campaign led by celebrity student activist David Hogg in the wake of the February 14 massacre at Hogg’s high school, Marjory Stoneman Douglas, in Parkland, Florida, that killed seventeen students and faculty. Earlier Monday Hogg posted a tweet urging stockholders to sell their FedEx stocks. FedEx is just one of many targets of Hogg’s boycott tirade. In addition to companies doing business with the NRA facing his boycott calls, Hogg also called for a Spring Break boycott of Florida. David Hogg, Obey me or face my boycott wrath! Hogg retweeted a tweet with this anti-NRA graphic posted by an anti-Trump ‘resistance’ activist. FedEx posted their response on the FedEx website and Twitter. The statement says that FedEx disagrees with the NRA, but does not discriminate against customers over ” politics, beliefs or positions on issues”. As TGP’s Cristina Laila reported, Hogg is on a boycott rampage. 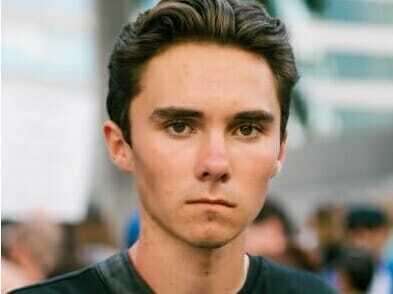 Among many targets of his wrath, Hogg is trying to ruin the tourism industry in his current home state of Florida if the state does not obey him. Hogg was in New York City and New Jersey on Sunday and Monday, appearing on ABC, CNN (alongside Dan Rather!) and MSNBC and making a speech–just ten days out from the massacre.